This report is for Monday 8/17/09 through Sunday 8/23/09. The Little Holmby Home at 10794 Weyburn Ave., LA CA 90024 spent a brief 16 days on the market before receiving an accepted offer. The home was listed on 7/8/09 for $2,2250,000. The home closed on 8/25/09 just over the asking price at $2,300,000. According to the MLS, the home is a 5 bedroom / 4 baths, 4,400 sq ft of living space on a 7,056 sq ft lot. You can view a Virtual Tour here. 27 Offers !?!?!? Did We Time Warp To A Few Years Ago? Over the last week or so we saw several properties come on the market and either receive an obscene number of multiple offers on them or sell right away upon entering the market. Considering we are in a slower real estate market in terms of sales volume, it was strange to see this kind of market activity. The kind of market activity that was reminiscent of just a couple years ago. It goes to show you that if you price something just right, there are alot of buyers out there waiting to pounce on it in this neigbhorhood. Buyers have had plenty of chances to see overpriced listing over the last 6 months. And when something enters the market with a reasonable price, it sticks out like a sore thumb. Take 2360 Veteran Ave LA CA 90064 for example. This property was the most eye opening property of last week. 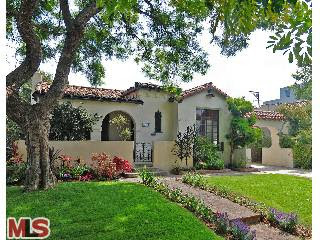 This charming Spanish home, 3 + 1.75, aprox 1,609 sq ft on a 6,480 sq ft lot came on the market 8/21/09 with a price tag of $739,000. Even though it needed some work and was on a busier street, it was priced undervalue. The first open house on the weekend was wall to wall people and that continued on the brokers tour Tuesday. The home received ~27 offers and sold right away. We haven't seen a house receive that many offers in quite awhile. If anyone saw the house and wants to guess the sale price, post your guess in the comments section of this post. The gorgeous contemporary house at 10701 Tennessee Ave LA CA 90064 also came on the market with an overwhelming response by potential buyers. The house had been completely remodeled from the ground up and was virtually a new construction home. Beautiful finishes, a spacious open floor plan with vaulted ceilings and a well thought out landscaping scheme, it was just what buyers were looking for in a lower price range. According to the MLS, the home is a 4 bedroom / 2.75 bath, 2,200 sq ft of living space on an oversized 9,060 sq ft lot. The home entered the market 8/11/09 with an asking price tag of $1,250,000 that was well received and elicited multiple offers. 10357 Mississippi Ave LA CA 90025 barely made it out of the gate with only 3 days on the market before an accepted offer was reached. 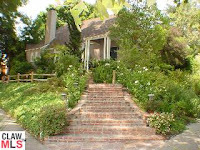 The house was listed 8/13/09 with an asking price tag of $1,095,000. According to the MLS, the Spanish home is a 3 bedroom / 3 bath, 2,000 sq ft of living space on a 6,000 sq ft lot. The previous purchase price of this home was $1,040,000 in 2002. 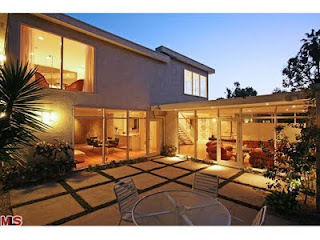 10624 Wellworth Ave LA CA 90024, situated just south of Wilshire, came on the market 8/16/09 with an asking price of $1,575,000. The sellers accepted an offer after 4 days on the market with a backup offer in place as well. The Spanish house didn't even make it to the broker tour. According to the MLS, the home is a 3 bedroom / 3 bath, 2,050 sq ft of living space on a 7,150 sq ft lot. 1057 Selby Ave LA CA 90024 in Little Holmby seems like it spent forever on the market compared to the rest of the homes on this page, receiving an accepted offer after 18 days on the market. The house was a move-in condition, totally remodeled home with a pool in the back. According to the MLS, the home is a 4 bedroom / 5 bath, 3,306 sq ft of living space on a 6,480 sq ft lot. 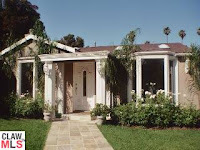 2106 Manning LA CA 90025 came on the market 8/14/09 with an asking price tag of $1,089,000 and received immediate positive response by buyers. While the property has not yet showed as pending in the MLS, the word on the street is there are multiple offers and its just a matter of time before one is accepted. If anyone has any more info, your always welcome to share. According to the MLS, the home is a 3 bedroom / 2 bath, 2,127 sq ft of living space on a 6,750 sq ft lot. The home has been mostly remodeled and is in move in type condition. 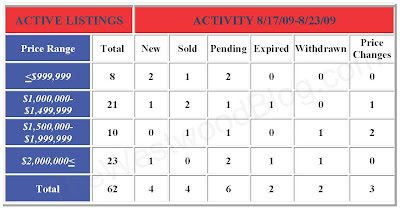 Since there was string of crazy multiple offer homes over the last week or so, I went a little deeper with my weekly market activity report. I will post my usual weekly activity chart later in the day or Friday for you to see the raw stats. The Spanish house south of Wilshire at 1312 Holmby Ave., LA CA 90024 received its 2nd price reduction of 2.31% or $46,000, down to $1,949,000. The house was listed 31 days ago on 7/27/09 for $2,175,000. According to the MLS, the house is a 4 bedroom / 3.5 bath, 2,930 sq ft of living space on a 6,500 sq ft lot. 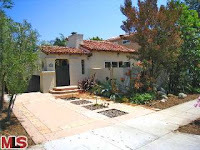 This Spanish home in Westwood at 10521 Kinnard Ave LA CA 90024, returned to the market this week after expiring off the market about two weeks ago with a new price of $1,190,000. This new price is $5,000 less than the last asking price. 10521 Kinnard is a perfect example of a discussion going on in the comments section of the Benecia house about aggressive pricing and chasing the market down. The home started as a 'for sale by owner listing' with an aggressive asking price of $1.5 million back in February 2008. The home has been continuously active on the market with various price reductions and price increases since that Feb 2008 list date. At one point the owner used a broker to list the house and actually received an accepted offer and went into escrow during that listing period. However, after an unsuccessful close, the home returned to the market as a 'for sale by owner listing' in Feb 2009, asking $1,350,000 and has been active ever since. According to public records the home is 3 bed/ 2 bath, 1,757 sq ft on a 6,630 sq ft lot. 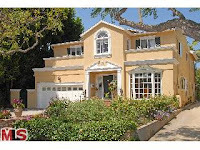 The home at 2202 Camden Avenue, LA CA 90064 received a price reduction this week of 4.63% or $50,000, down to $1,029,000. 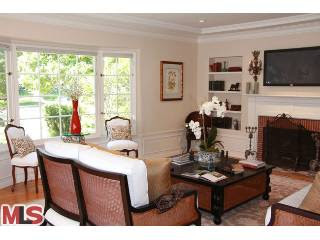 The home was listed on 7/27/09 for $1,079,000 and this is the first price reduction of the current listing period. The home has been on and off the market as both a 'for sale by owner' and broker sale since 2007, where they started with an asking price of approx. $1,350,000. According to the MLS, the home is a 3 bedroom / 3 bath, 1,873 sq ft home on a 6,750 sq ft lot. The newly listed traditional home at 10660 Rochester Ave., LA CA 90024 received a price reduction of 1.07% or $16,000, down to $1,479,000. 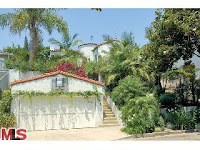 The home was listed 44 days ago on 7/13/09 for $1,525,000 and this is the 2nd price 1+% price reduction. According to the MLS, the home is a 3 bedroom / 2.5 bath, 2,000 sq ft of living space on a 6,500 sq ft lot. The home has been completely remodeled and is in move in condition. The Westwood Hills Architectural home at 151 S Bentley Ave LA CA 90049 received a price reduction this week of 8.02% or $200,000, down to $2,295,000. The home was listed 81 days ago for $2,495,000 and this is the first price reduction of the listing term. According to the MLS, the home is a 4 bedroom / 5 bath, 3,400 sq ft of living space on a 8,097 sq ft lot. The Wilshire Corridor condo at 10787 Wilshire Blvd #802 (Marie Antoinette) received a 4.01% or $24,000 price reduction, down to $575,000. The property was listed 33 days ago for $599,000 and this is the first price reduction of the listing term. According to the MLS, the condo is a 2 bedroom / 2 bath + den and 1,459 sq ft. Hod's are $1,300 and include utilities (elec,gas,water,trash + 24 valet/security/switchboard and onsite managment) The unit has nice south / west / north views from the unit on the 8th floor. Lastly, the condo has hardwood floors throughout, high ceilings and lots of natural light. Also for lease at $2,995. The remodeled Mid Century home at 1652 Comstock Ave., LA CA 90024 received a price reduction of 9.11% or $200,000, down to $1,995,000. 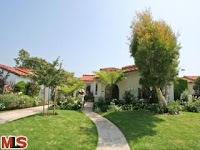 The home was listed on 6/12/09 for $2,195,000 and has been on the market 73 days this listing period. This home is completely move-in with very nice modern finishes throughout. The remodel job looks to have been done with quality and attention to detail. According to the MLS, the home is a 3 bedroom / 3 bath, 2,540 sq ft home on a 6,185 sq ft lot. The Wilshire Corridor Condo at 10701 Wilshire #1003 received a price reduction this week of 5.27% or $30,000, down to $539,000. The unit was listed 53 days ago for $569,000 and this is the first price reduction. According to the MLS, the unit is a 2 bedroom / 2 bath & 1,304 sq ft. The HOD's for the unit are listed on the MLS as $1,052. The Crown Towers is a full service building with 24 hour valet/security, onsite manager, pool and gym. The unit needs updating, but has fantastic unobstructed views to the south from the living area, as seen in the picture to the left. 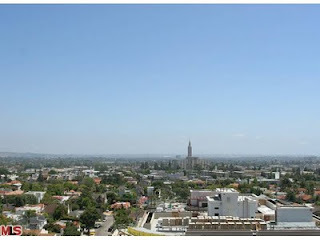 This is one of the better view units at the entry level price range on the whole Wilshire Corridor. One thing you do need to know about the Crown Towers is that no laundry is allowed in the units. 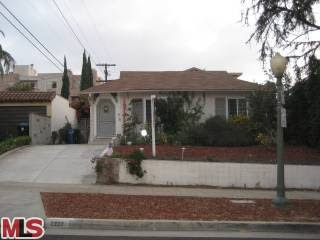 The home at 1910 Fairburn Ave., LA CA 90025 lasted 31 days on the market before receiving an accepted offer on 6/7/09. 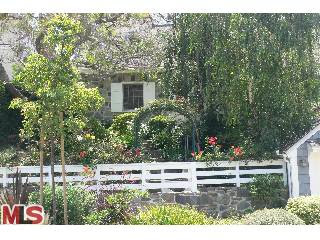 The home was listed on 5/7/09 for $969,000 and had one price reduction during the listing term. The home closed on 8/17/09 for $888,000. According to the MLS, the home is a 3 bedroom / 2 bath, 1,477 sq ft of living space on a 6,621 sq ft lot. 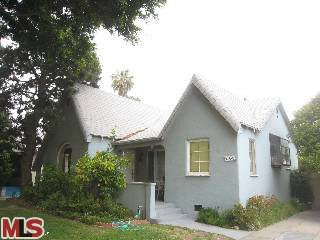 This Country English home at 2038 Camden Ave., LA CA 90025 lasted 53 days on the market before receiving an accepted offer on 6/29/09. The home was listed on 5/7/09 for $849,000 and received one price increase and one price decrease during the listing term. The home closed on 8/17/09 for $800,000. According to the MLS, the home is a 2+1, 1,190 sq ft of living space on a 6,750 sq ft lot. You can read my previous review post here. 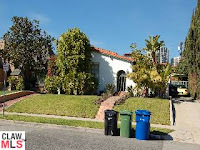 The property at 2010 Benecia Ave, LA CA 90025 lasted approximately 190 days on and off the market before receiving an accepted offer on 5/20/09. The house was originally put up for sale on 10/16/08 for $1,269,000 and had about 5 price changes chasing down the market to $1,129,000. The home closed on 8/19/09 for $1,085,000. That is only 2% lower than the seller's purchase price of $1,107,500 on 7/24/07. According to public records the home is a 2 bedroom / 1.5 bath, 1,552 sq ft home on a 5,750 sq ft lot. You can read my previous review post of the home HERE. 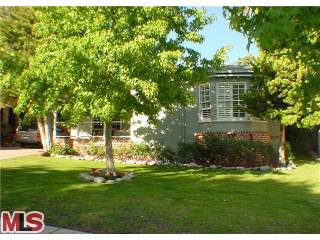 The property at 2227 Benecia Ave LA CA 90064 received a price reduction today of 4.6% or $50,000, down to $1,038,000. 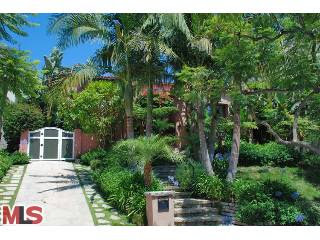 The property was listed 25 days ago for $1,088,000 and this is the first price reduction of the current listing term. The seller has attempted to sell this property a couple times since their purchase in 2005 for $1,090,000. In 2007, they lasted 121 days on the market, starting at $1,279,000 and ending at $1,195,000. Then in 2008, they tried for 89 days on the market at $1,195,000. 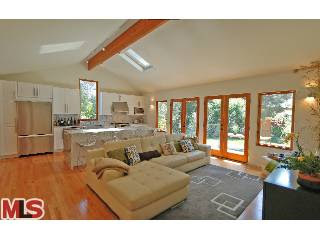 According to the MLS, the home is a 3 bedroom with a loft +2.5 baths, 1,895 sq ft of living space on a 5,850 sq ft lot. The home is also for lease at $4,300. This report is for Monday 8/10/09 through Sunday 8/16/09. 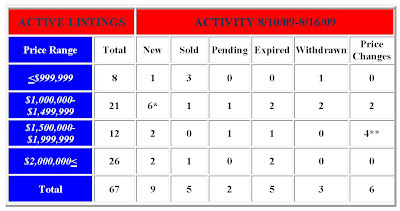 This report is for Monday 8/03/09 through Sunday 8/09/09.